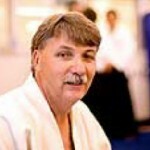 Steve Dows Sensei (6th dan) – Head Dojo Instructor. Ben Tan Sensei (4th dan) – Ben sensei’s classes allows students to brush up on their weapons kata (jo and bokken) as well as having a good variation of aikido techniques taken from the grading syallabus. Saturday morning classes are taught by Ben sensei who is also the Nathan dojo cho (head instructor). Erwin Fielt Sensei (3rd dan) – Erwin sensei started Aikido with the Dutch Aikikai Foundation (following the line of Christian Tissier Shihan) in the Netherlands in 2003. He joined Aikido Yuishinkai in 2009, when he moved to Australia. His main interests are in a solid grounding of Aikido based on understanding its key principles. In his classes he likes to explore the many different aspects and variations of a technique. Erwin sensei takes the Tuesday class alternating with Ben sensei. Michael Atma Sensei (2nd dan) has been training in the art of Aikido in the Yuishinkai style since 2012. He has also studied Taekwondo and Tang Soo Tao for 8 years prior to starting Aikido. Michael’s interests lie in bringing relaxed awareness and re-directing energy in such a way that peaceful resolutions may be achieved on a mental, physical and emotional level. He teaches regularly on Thursday nights and also assists with beginners. 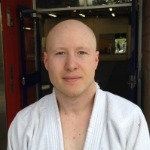 Christopher Cobban has been training in the art of Aikido for over 14 years. He currently holds the level of a 2nd degree black belt (Nidan) in the Yuishinkai style. 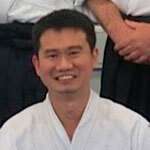 He has also taught teenagers and adult classes for over 6 years at Griffith Aikido Institute. Chris’s interests lie in aiki weapons training, particularly their role informing the application of bare hand training. 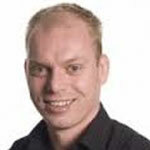 He regularly teaches on Thursday nights and assists in teaching beginners.